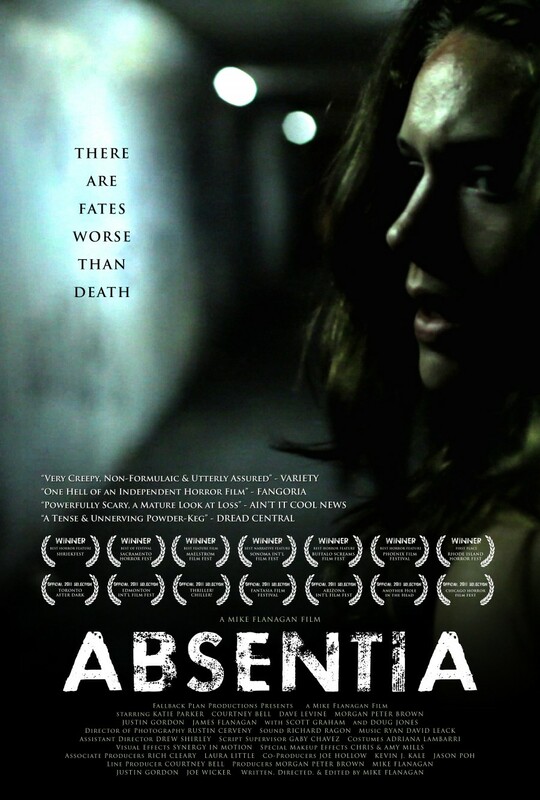 Absentia is a low budget, crowd-funded film that is a fabulous watch. A woman tries to get on with her life after her husband vanished many years before. But he’s not the only one to have vanished in the area. The film’s low budget works to its advantage. They don’t have the money for copious amounts of special effects and the like, and so it has to rely on story, characters, good lighting and camera work, and careful editing. While it does have a couple of low-level, but really disturbing, gore moments, it really pulls off its chills by eliciting actual feelings of dread and tension. It’s also the first cosmic horror that I’ve watched with an ending I thought suited the movie and made a kind of sense. I’ll be buying this one. This entry was posted in Cosmic Horror, Film/TV and tagged Absentia, Cosmic Horror by dalekboy. Bookmark the permalink.